This year's annual All Iowa SWE Conference will hosted by the Heart of Iowa section! See the below flyer for more information. If you are interested in carpooling, sign up using the survey below. 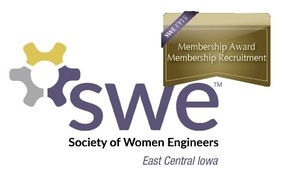 Sign up to carpool with SWE-ECI!